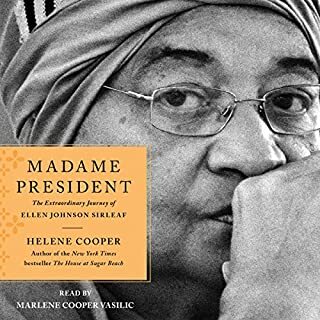 This is the harrowing but triumphant story of Ellen Johnson Sirleaf, leader of the Liberian women's movement, winner of the Nobel Peace Prize, and the first democratically elected female president in African history. What an amazing story! Beautifully writen and narrated. I found myself celebrating with the triumphs and crying through the fight of pure evil forced on the Liberian people. What an incredible woman. Thank you so much for telling her story! !